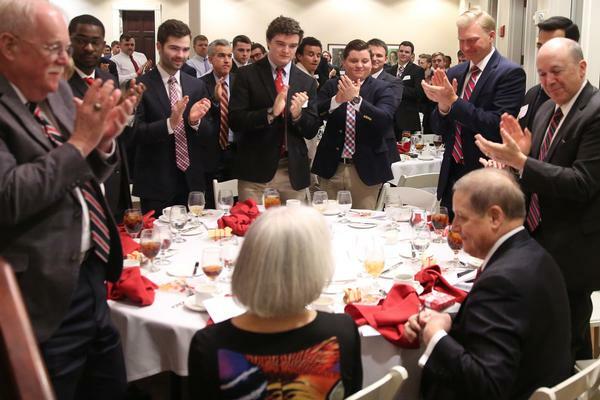 During his time as a student nearly five decades ago, John L. Ryder ’71 remembers getting what he called a “Scarlet Inn education” on top of his more traditional Wabash learning. 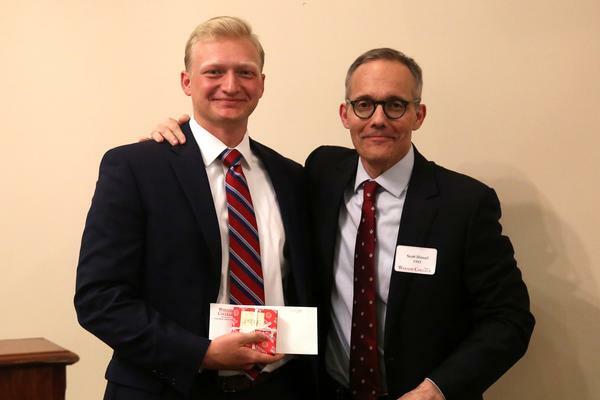 This year, as keynote speaker of the Peck Lecture and recipient of the Senior Peck Medal for Eminence in the Law, Ryder took the chance to return the favor. 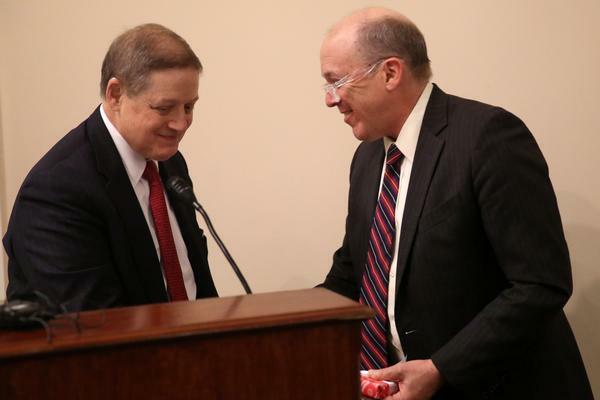 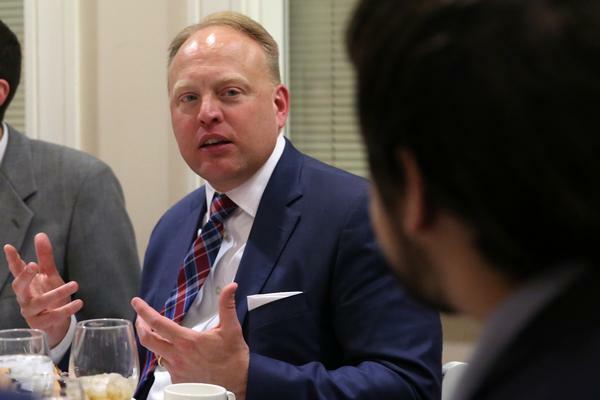 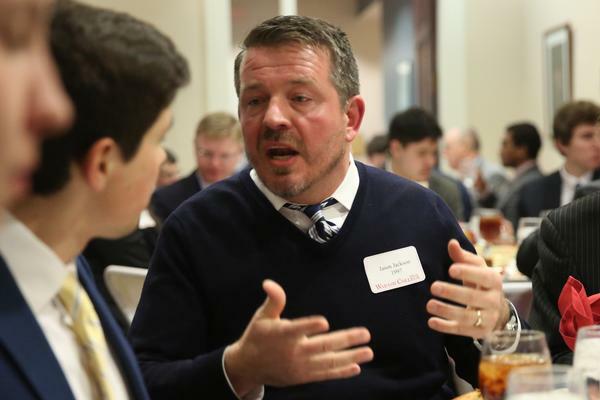 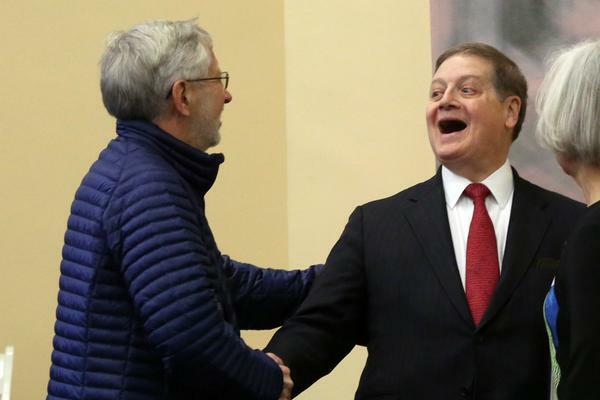 As a renowned Memphis bankruptcy lawyer who more recently served as general counsel to the Republican National Committee, Ryder likes to say that he first learned about self-government as a brother in Lambda Chi chapter meetings. 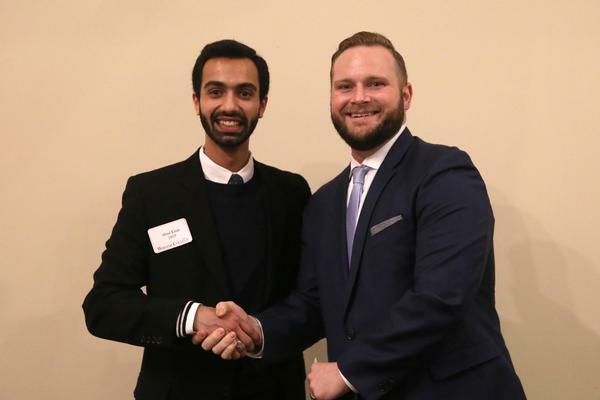 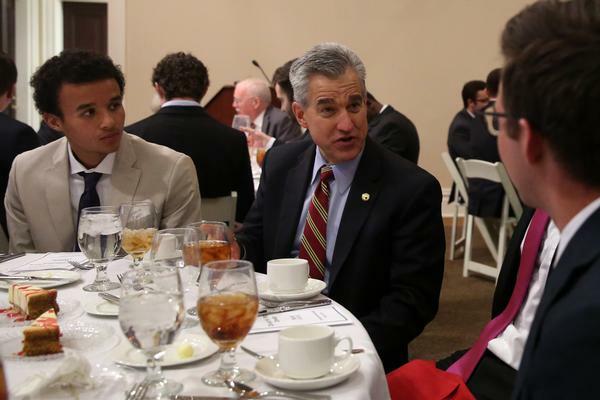 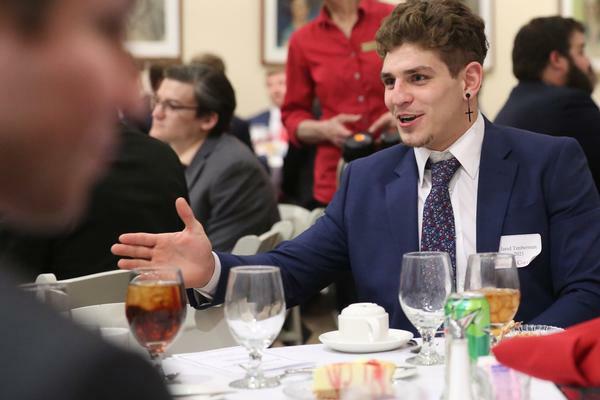 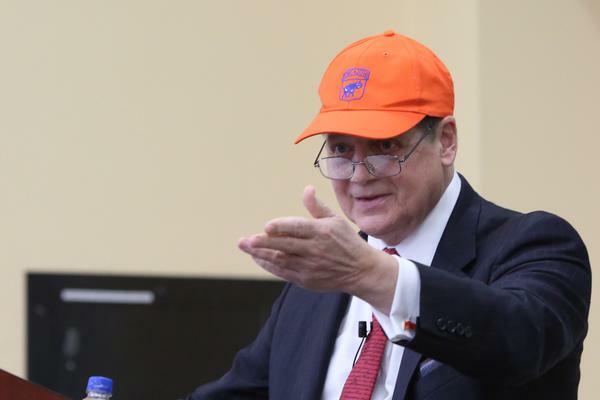 Upon his return to campus for the Peck Lecture and Awards Banquet this year, he took the opportunity to spend a few days interacting with students in classes and, yes, during wide-ranging and educational conversations at Scarlet Inn. 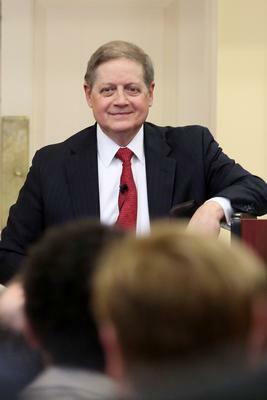 Ryder’s public lecture, entitled “Rules, Parties, & Freedom: Inside the 2016 Republican Convention,” provided a glimpse behind the curtain of the last election cycle’s chaotic convention. 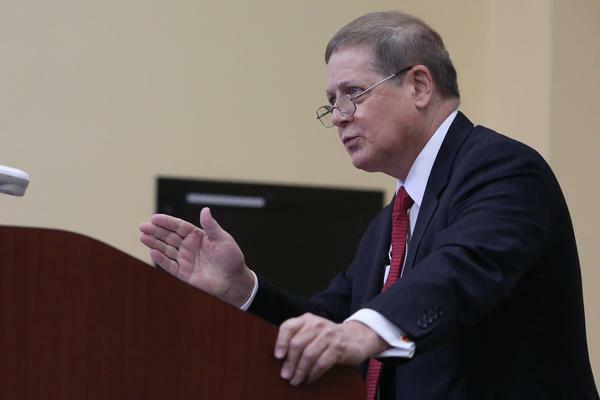 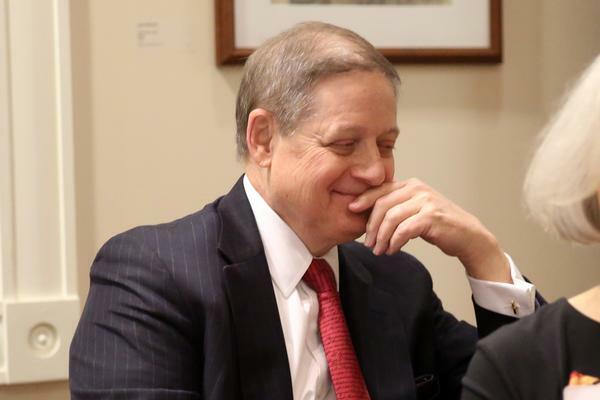 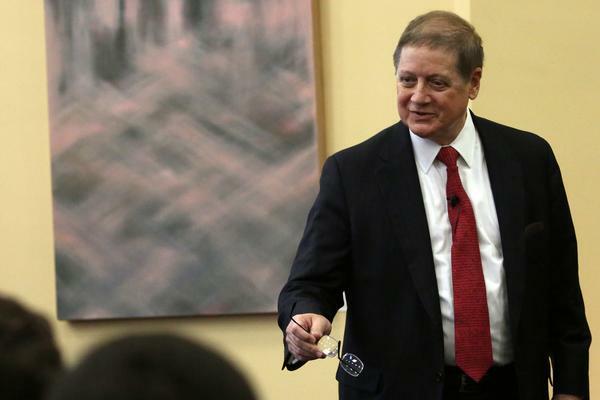 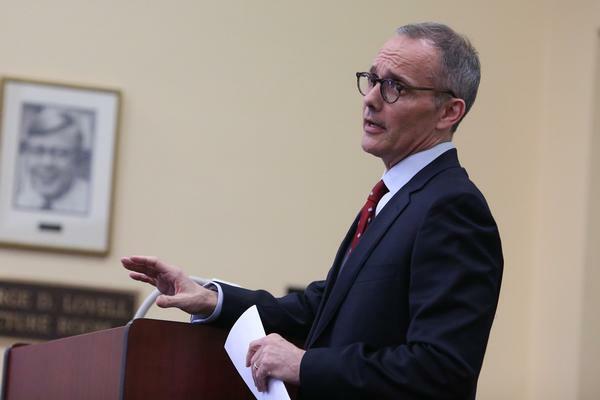 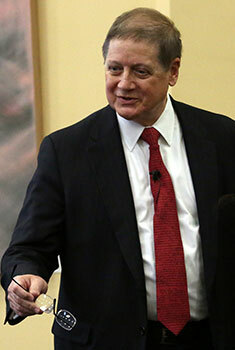 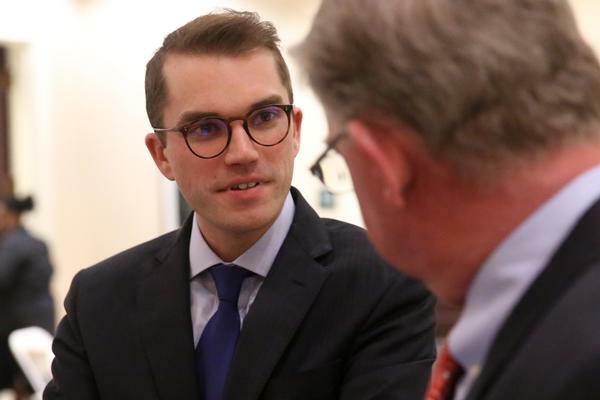 He compared preparing for his role as a member of the Rules Committee to preparing for trial, and said it was his time at Wabash that instilled in him the habit of immersing himself in the intricacies of a matter. 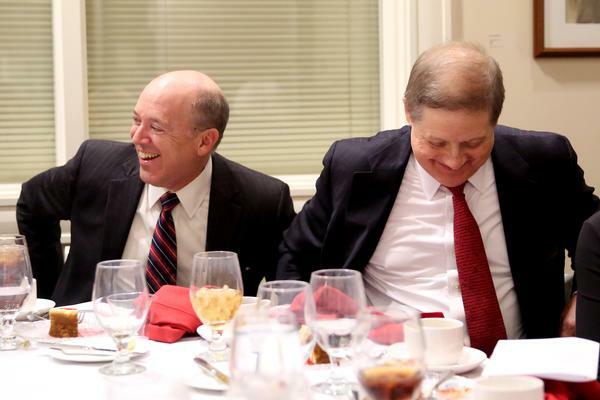 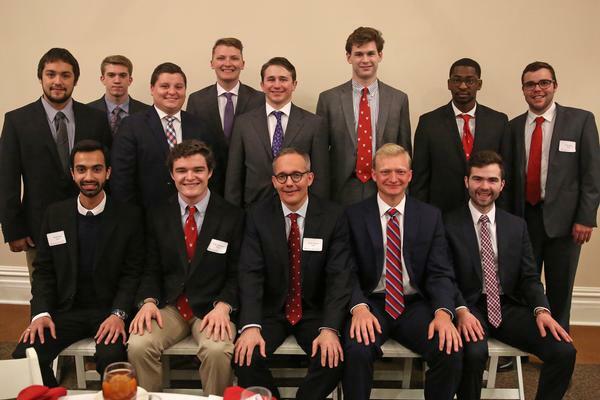 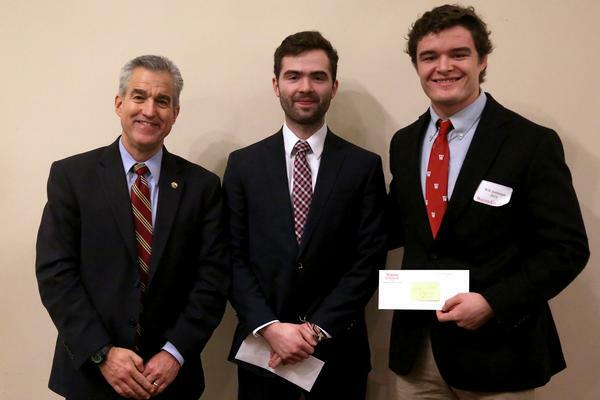 The David W. Peck Awards Banquet has been held each year since 1974 and serves as a unique opportunity for Wabash students interested in the law to meet lawyer alumni and to benefit from the wisdom of the Senior Peck Medal recipient. 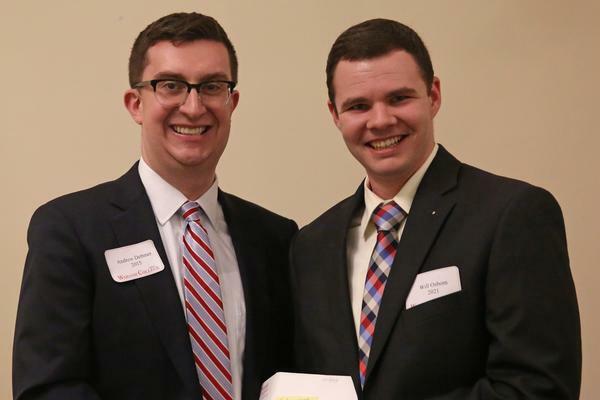 The event also recognizes student Prelaw award winners. 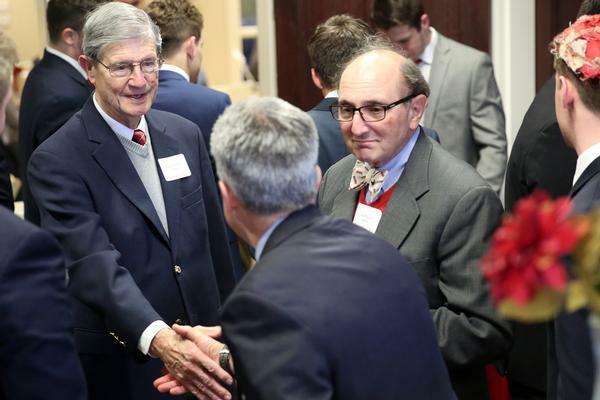 The event was established by long-time Trustee John P. Collett ’24 in tribute to his dear friend and fellow Trustee David W. Peck ’22. 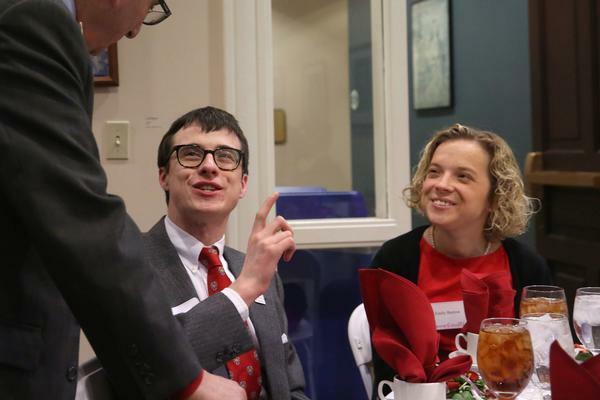 Peck enrolled at Wabash at age 16, graduated at 19, and had finished Harvard law by 22. 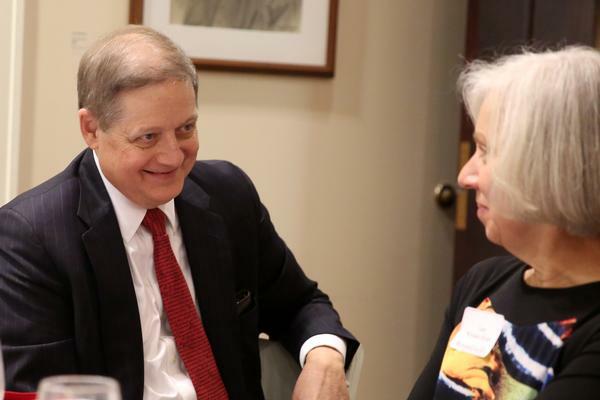 He had a long and distinguished career as a judge and partner in the New York law firm of Sullivan and Cromwell.